It warms my heart to read all the stories about how athletes are helping the dogs of Sochi. When the news broke that the government was killing these dogs because they would be in the way and have taken over the streets, it gave me a nasty taste towards the government in Russia. I can understand them needing to get the dogs and puppies off the street. Hundreds of dogs are being poisoned every day to lower the overpopulation. But the whole mentality and hatred towards these dogs that was abandoned by owners and borne in the streets upsets me. It isn’t the dogs fault the human counterparts decided they were no longer wanted or needed. I normally watch the games. But this time around they have been clouded by all sorts of negative things. These athletes train all their lives and to be welcomed in the way they have been in Sochi is disheartening. From rooms that are something out of a horror movie to finding dead dogs laying in the streets is sickening to me. If nothing else, the Olympics being played in Sochi, Russia has brought awareness to the need to the animals that are roaming the streets. Most of these dogs were once loved by someone and from the statements, most have been left to fend for themselves. To think that dogs can have around 10 puppies or more in a litter and multiply that by hundreds of dogs, I can see why it is out of control. If people want to have pets, they should be responsible. I have a number of rescue groups on my Facebook page. And if everyone would adopt instead of buying from puppy-mills, more lives could be saved. In just one of the shelters in Phoenix, AZ, there is around 300 dogs and cats killed each month because there aren’t enough homes for them. Most of these dogs are pit bulls and Chihuahuas. I hear all the time that when the dog people have has puppies, they have a good home for them. Tell that to the hundreds of dogs that grow out of the puppy stage and are killed because they can’t keep them or they got too big. And the mentality that people think that its bad to not let a female dog have at-least one litter is wrong. Out of those puppies she has, there is a good chance a couple may live a full life. But most will die. And it is the same thing that is going on in Sochi. People throw them away like they are garbage. Thankfully, there are kind hearted people. I have been keeping up with the news of medals given out in Sochi. But mostly I have been watching the love and warmth these athletes have towards the dogs and puppies of Sochi. Here are some of the athletes that are turning the games into something to be proud of. 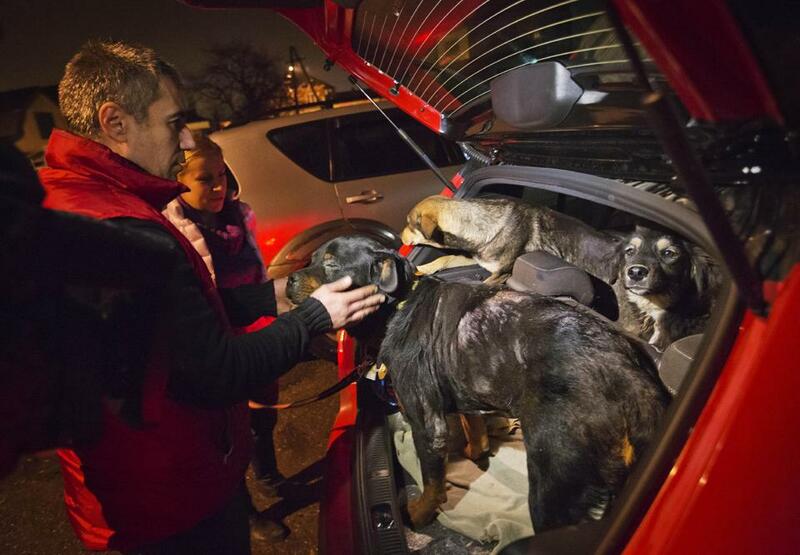 Homeless dogs are being smuggled out of the area to save their lives. For me, these are people who are making a difference to these animals lives. Hoping to prevent the killings of stray dogs who are roaming the streets of Sochi, a Russian billionaire has funded the creation of a shelter where the animals can find new owners. My niece and I got into a discussion about how there are many dogs, cats and other animals that needs to be rescued in our own country. And Bridgette is right about that. But at the same time, it shouldn’t matter where the dogs are. They need help from anyone that is willing to help. I’m pretty sure these dogs and puppies don’t care what country the athletes are from or what language they speak. They know that there is someone there to help them. Dogs love people no matter what part of the world someone comes from. These athletes are raising awareness for all dogs, no matter where they are. There is a huge need when it comes to adopting pets from shelters and rescues. 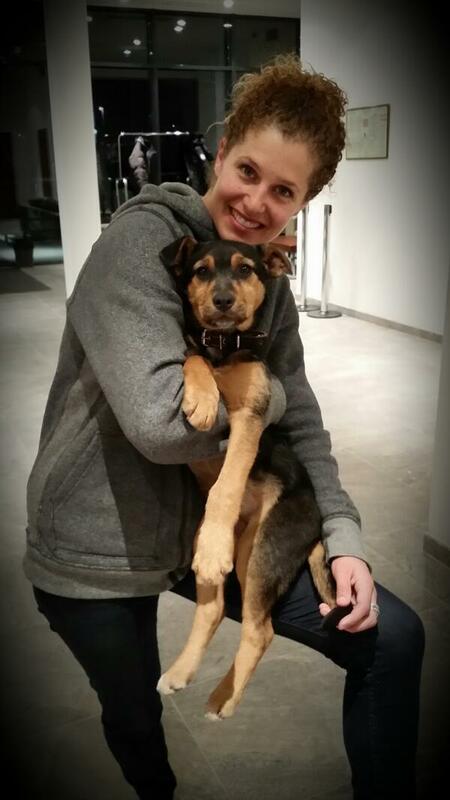 American snowboarder Lindsey Jacobellis’s tough luck in the snowboard cross has adopted one of the strays in Sochi. Instead of a gold medal, Jacobellis will be taking home a lucky Sochi stray. 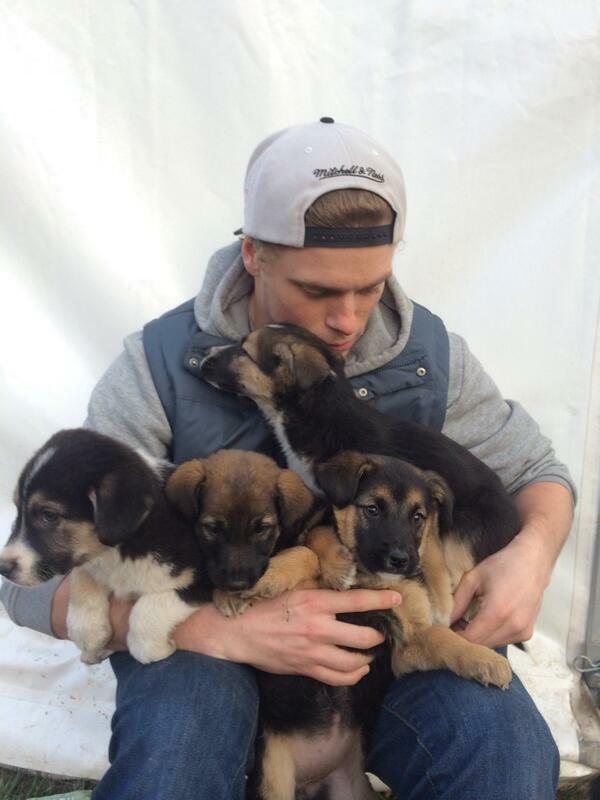 Skier Gus Kenworthy is hoping to bring a whole litter of little guys back to the States as well. Not only is he bringing the puppies back with him, he is bringing the momma dog and staying a couple extra days to make sure they can come back with him. Amanda Bird, U.S. bobsled and skeleton press officer, also plans to bring home a dog home with her. Amanda Bird said that she didn’t go to Sochi to adopt a dog. But she couldn’t ignore the presence of the stray dogs. She is working on getting the dog brought home with her. David Backes and the U.S. men’s hockey team got in on the whole “Olympic athletes adopt Sochi strays” and are hoping to bring a few dogs back with them. David Backes is a dedicated animal activist. While they are in Russia, they are hosting a few dogs at the hockey house they are staying in. The athletes are networking and helping each other secure paperwork, shots and transportation to bring them home. Backes, a dedicated animal activist, and some of his teammates are hosting a few dogs at the hockey house — and it might be a permanent thing. It seems like with the Winter Olympics, I have been more interested in saving lives instead of who gets the gold medals. In my eyes, all of these athletes and others that are out to make a difference deserves a gold medal. To these dogs, they are more than athletes, they are hero’s. You don’t have to be a millionaire or an athlete to adopt a dog, cat or other animal from the shelter. You just have to be willing to open up your heart and let them into your life. They don’t care what you look like, how much money you have. They just want to be loved and love you in return. Why not be a hero to a homeless pet?